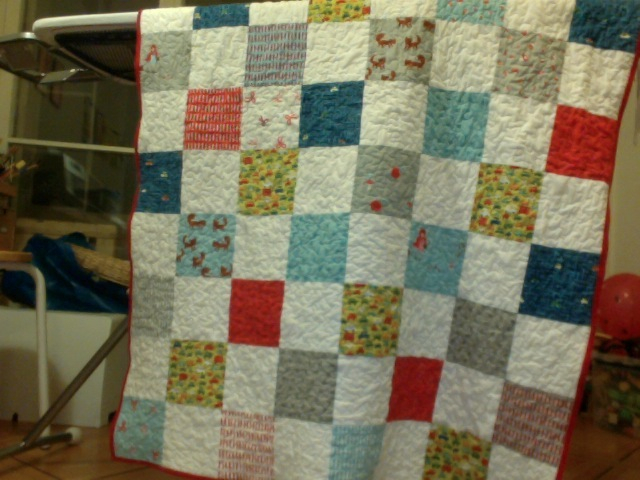 Time for another speedy baby quilt: one of my lovely colleagues, and friend, has just had a baby Maxim. I started making this a couple of weeks ago, in the evening, then heard a few days later that he had been having a rough time in hospital. 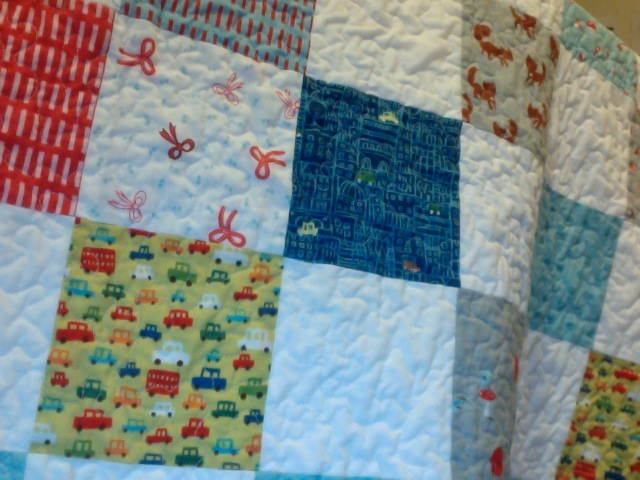 He is now hopefully home, and on the road to recovery, so this is finished just in time for some cuddly convalescence. (Bad fuzzy photos, because it’s late tonight, and I might as well just use the lapop webcam…). Bits from a left-over charm pack, and then some of Mr A’s favourite car and city material, and white from a sheet. The back is an ever-useful IKEA duvet cover, red and white stripey, cotton batting inside.